Word on the street is Brisbaneʼs biggest mass ride will be hitting the CBD in just over two weeksʼ time, Sunday 13 September 2015. Pedal Brisbane has teamed up with the Asia-Pacific Cycle Congress (Brisbane Convention & Exhibition Centre, 13-16 September 2015 – APCC) to present an innovative, rousing program of events celebrating the bicycle and all it does for society. 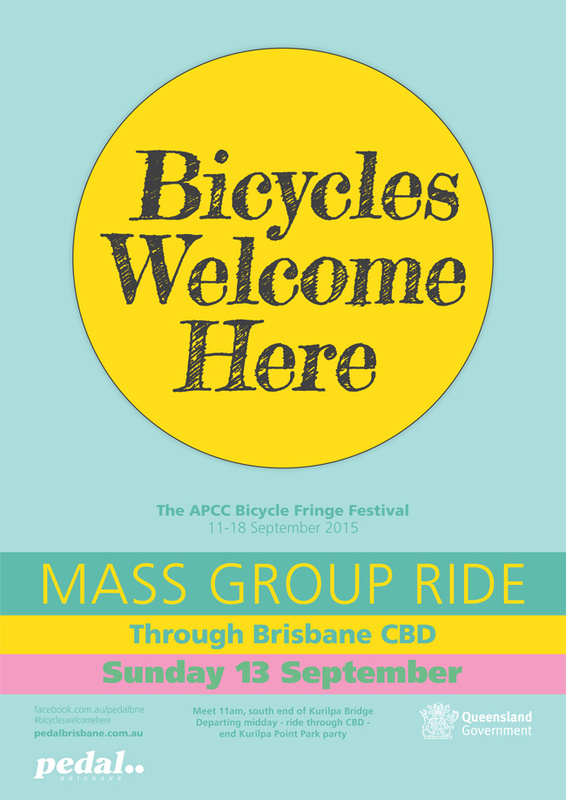 Bicycles Welcome Here (BWH) will run 11–18 September 2015 as a bicycle fringe festival and campaign adding a dynamic, colourful, community element to the APCC. Festivities will kick off with a mass group ride on Sunday 13th September. 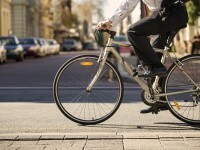 Pedal Brisbane are aiming to gather 1000 or more cyclists to partake in a relaxed yet exhilarating ride. 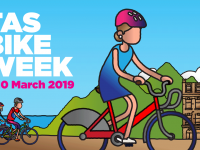 Together the cyclists will make a bold statement as they traverse Brisbane CBD streets. The group ride aims at getting lots of people riding safely on Brisbaneʼs busy city streets. The ride will be accompanied by members of the Queensland Police Service who will control the intersections for the procession of cyclists. 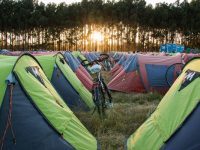 The ride will be easy and safe enough for all types of cyclists. Pedal wants to see: grandparents, kids, novices, families, road cyclists, commuters, fixies, collectors, bike couriers, athletes…all types! Brisbane has a huge cycling community and Pedal want to bring them all together in one place. Pedal think big about bikes, bikes are the way of the future and Brisbane is catching on! Where: Departing Kurilpa Point Park (next to GoMa) riding through CBD, ending at Kurilpa Point Park for a celebration.